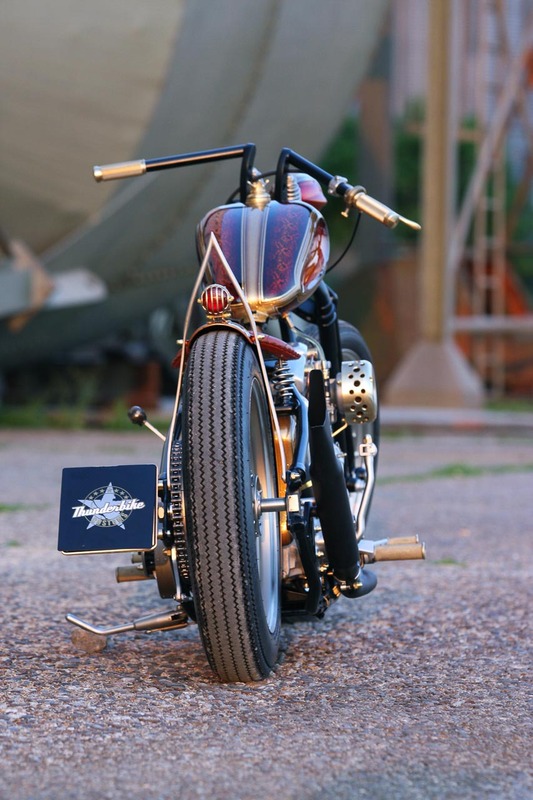 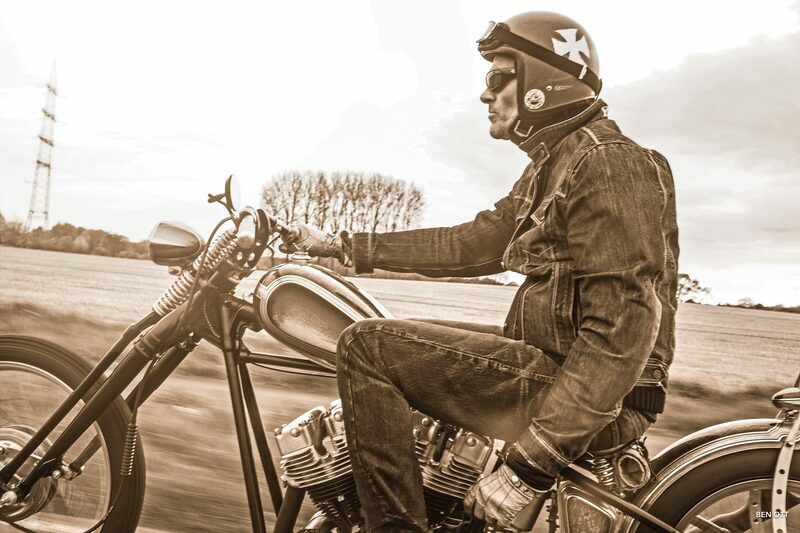 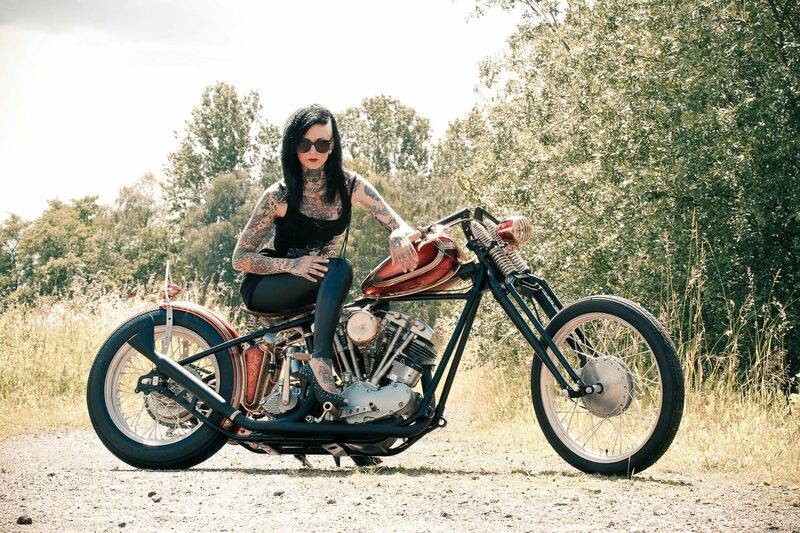 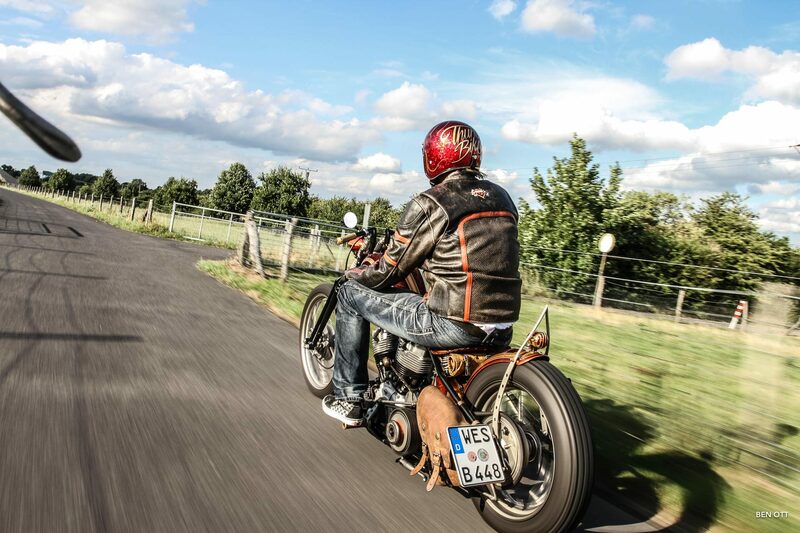 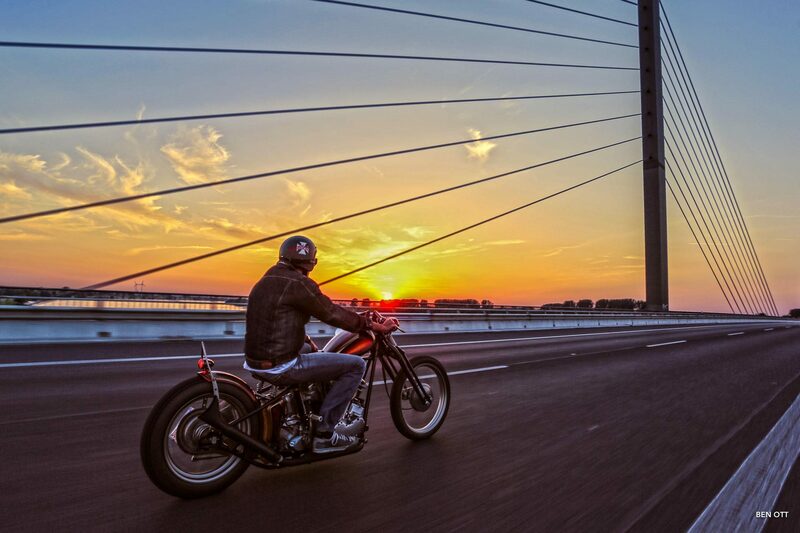 The Thunderbike Top Chop is a classic vintage chopper and is based on a 1957 EL, which has been refined by us down to the last screw. 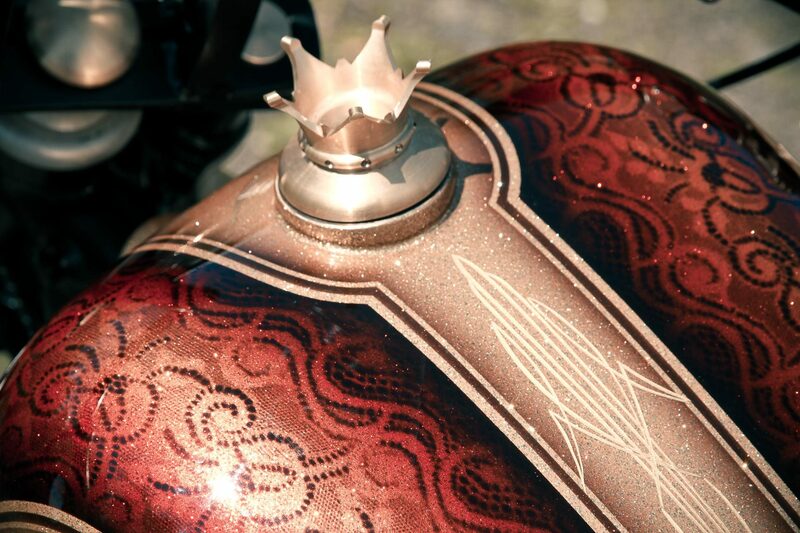 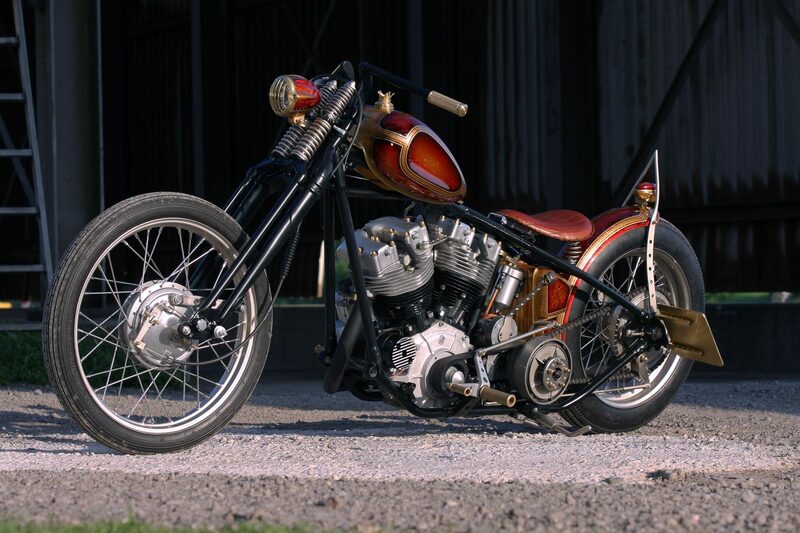 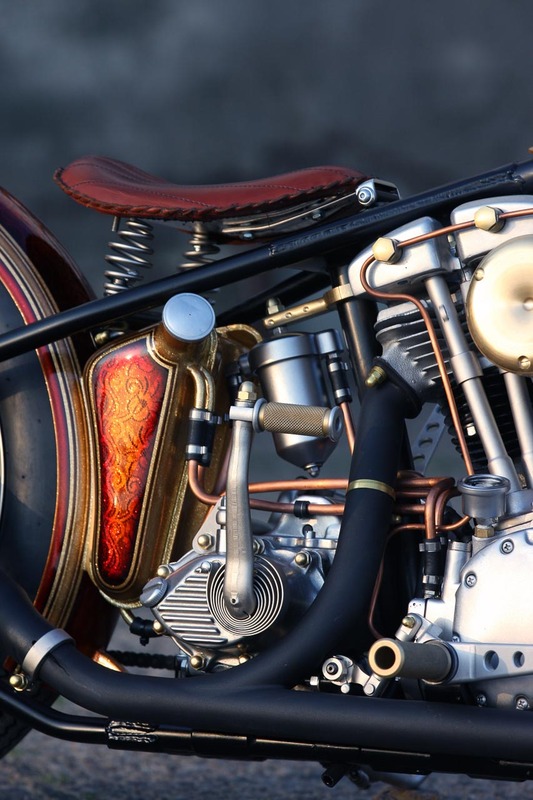 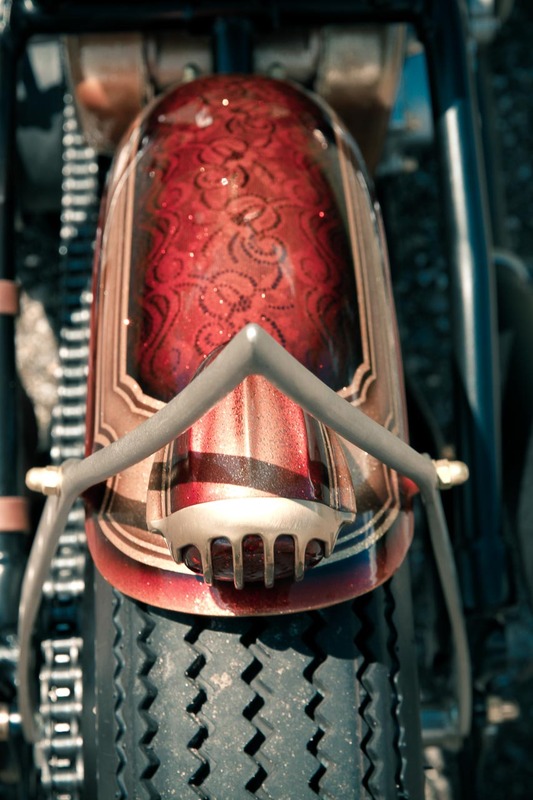 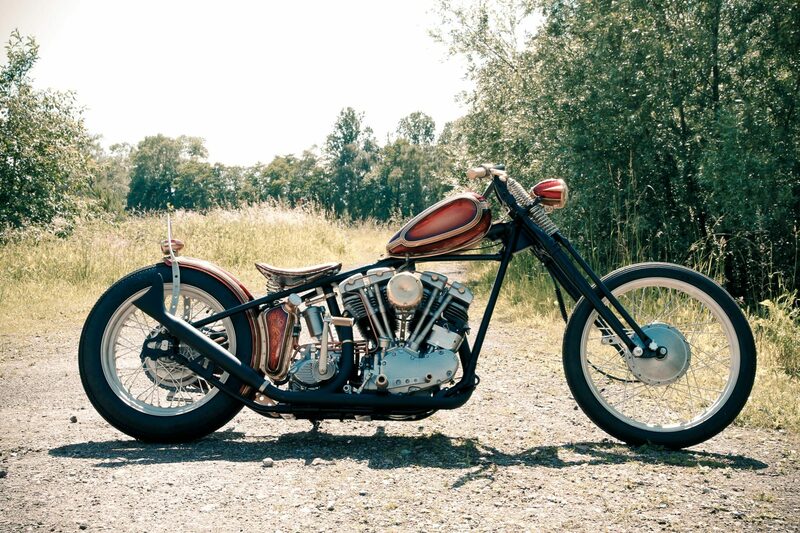 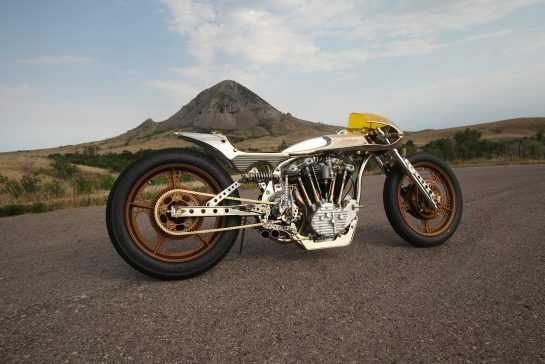 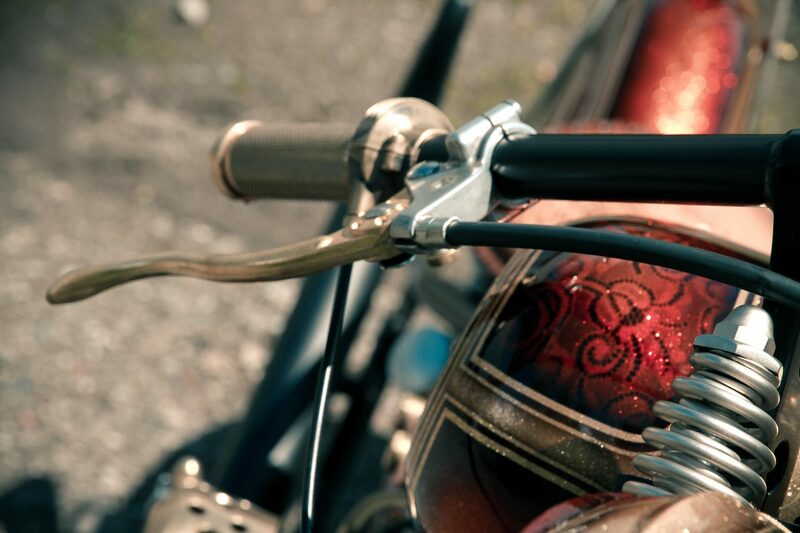 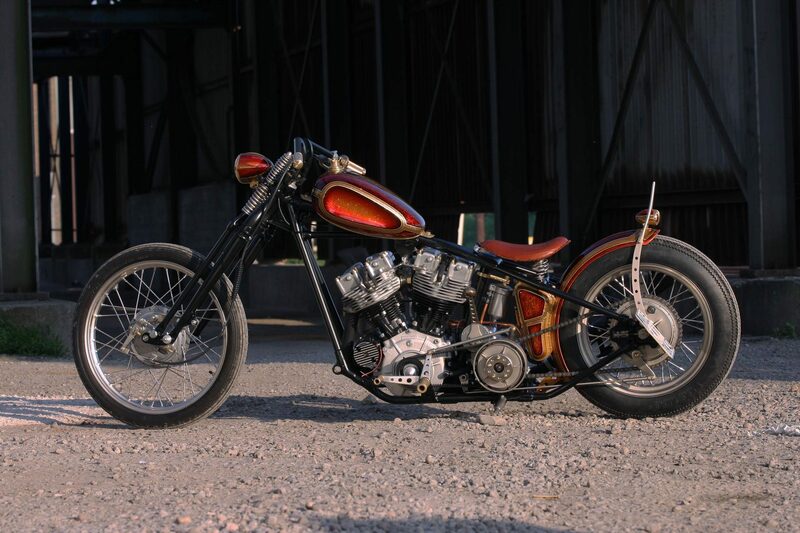 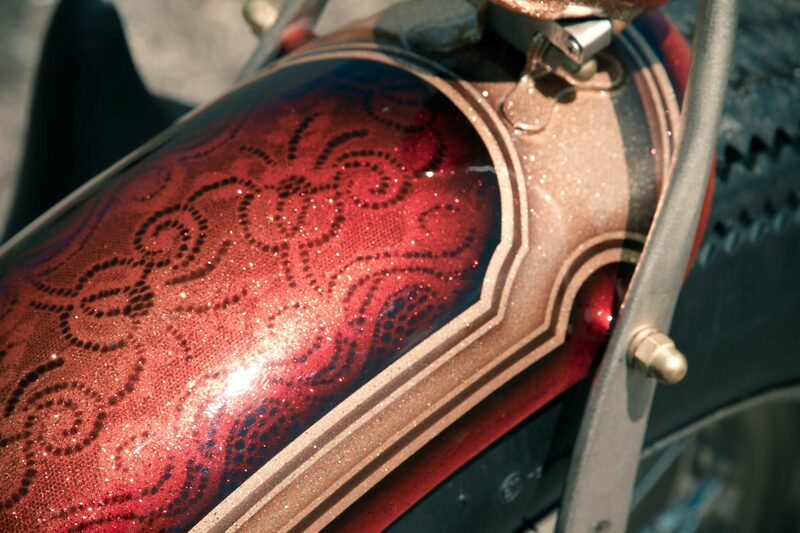 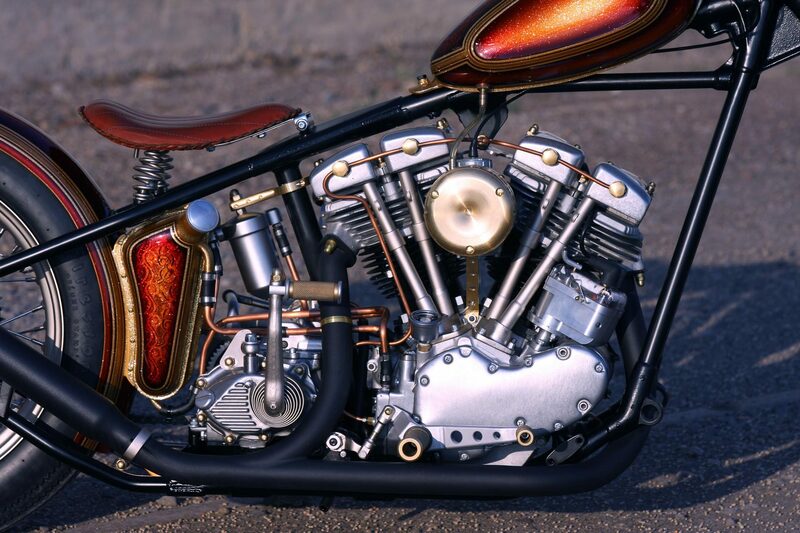 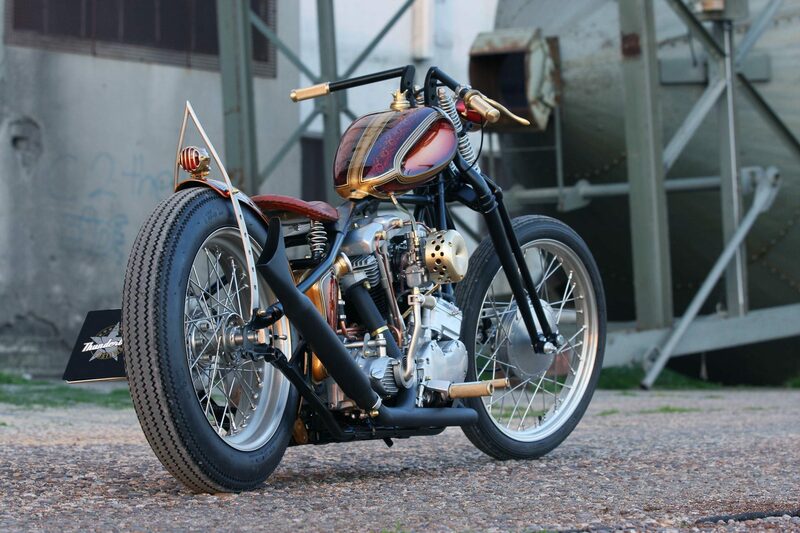 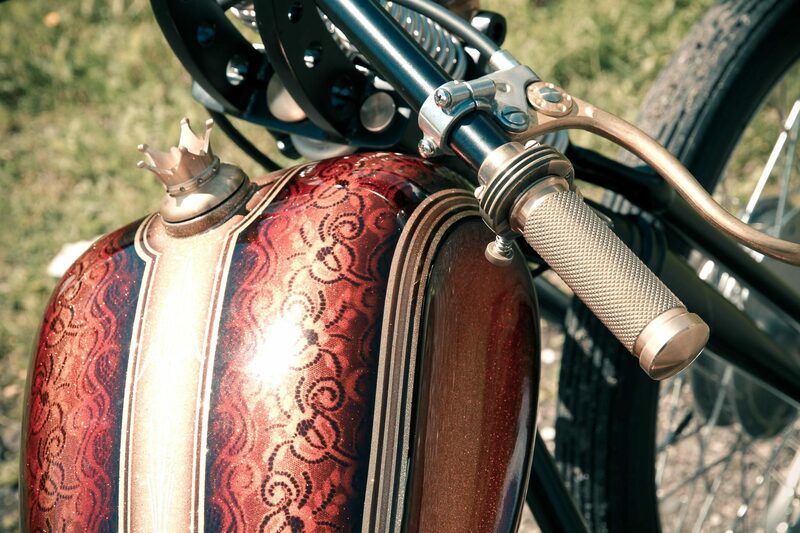 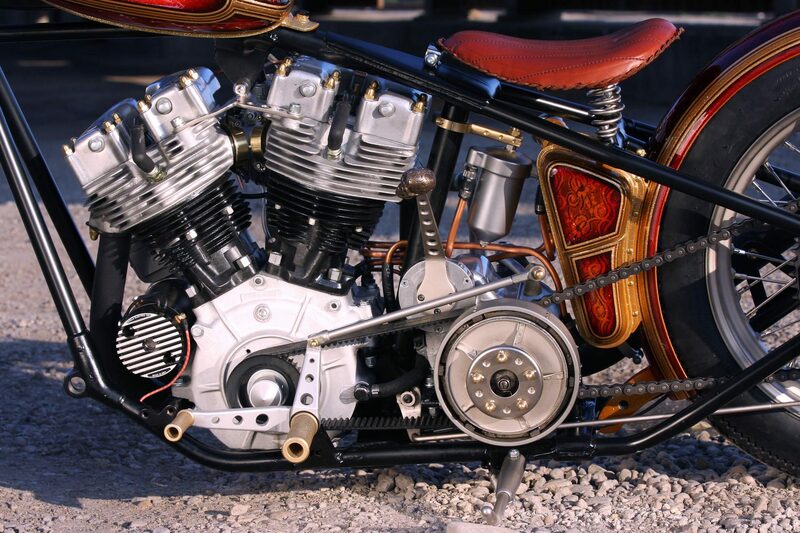 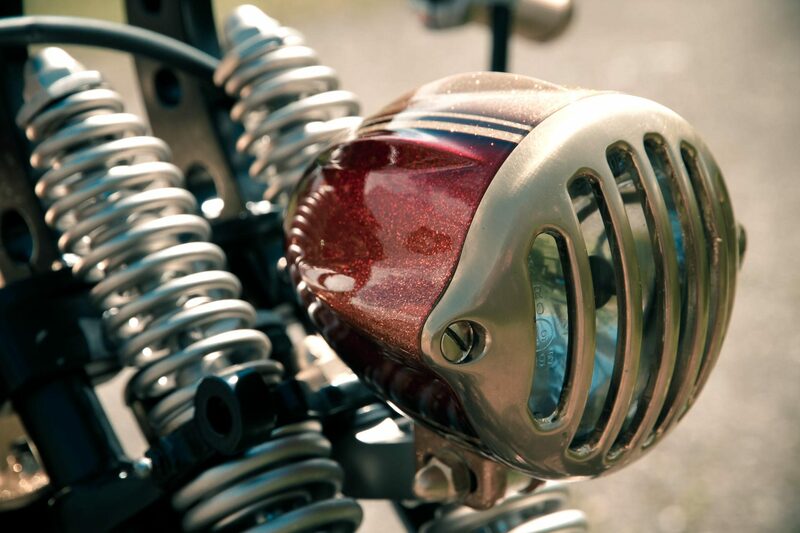 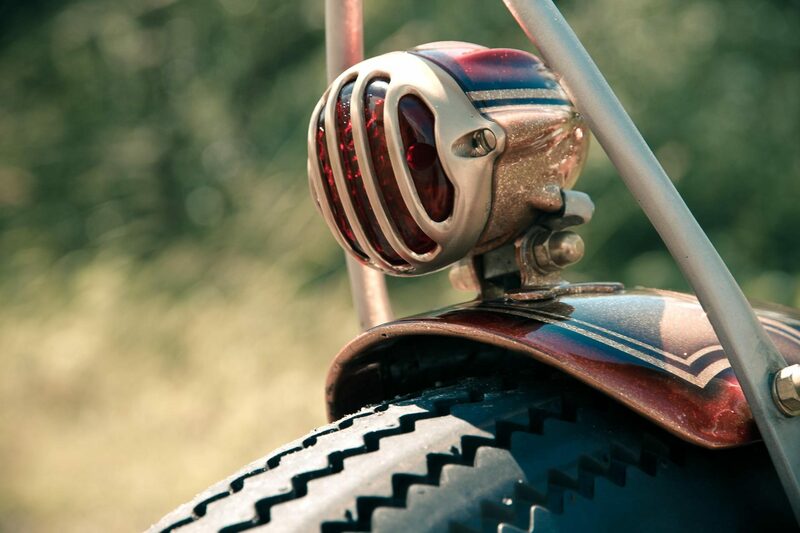 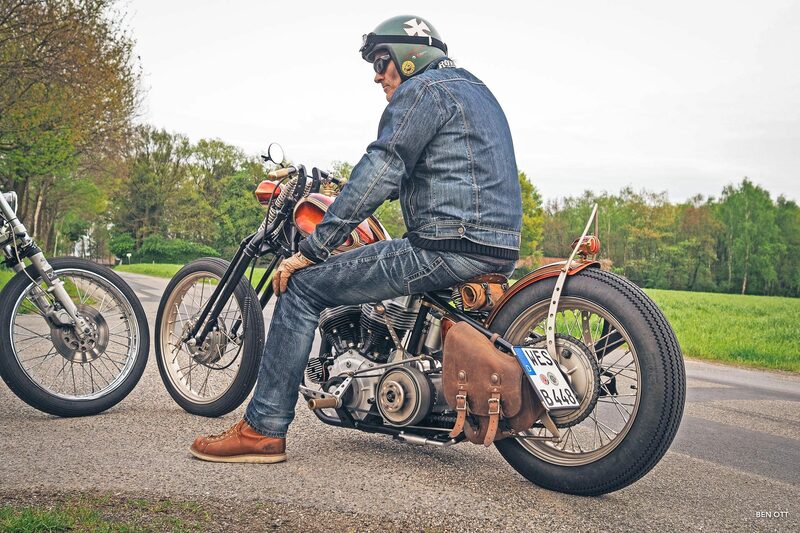 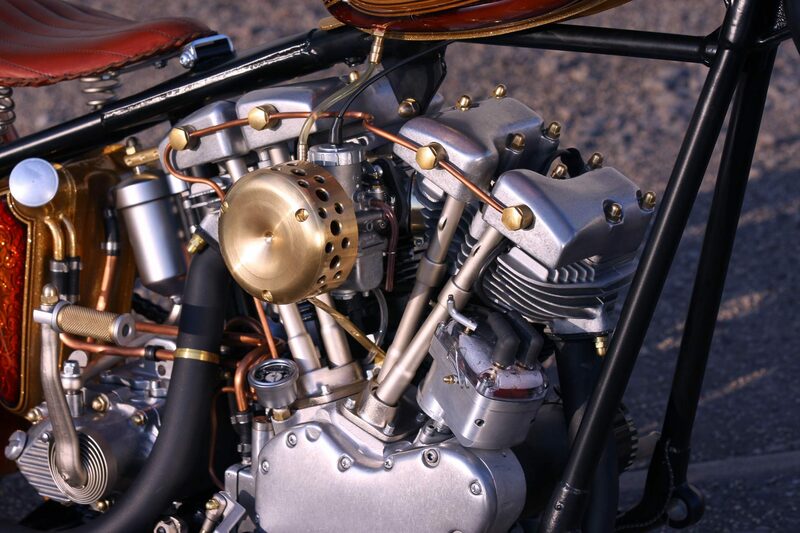 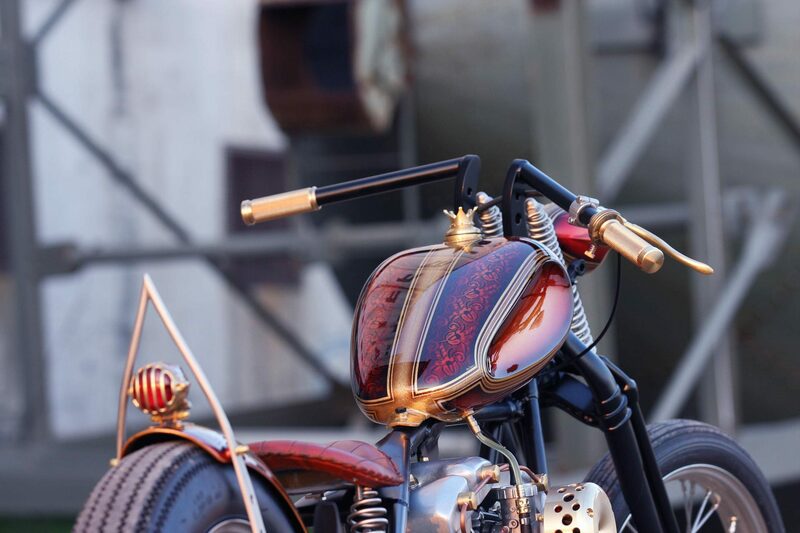 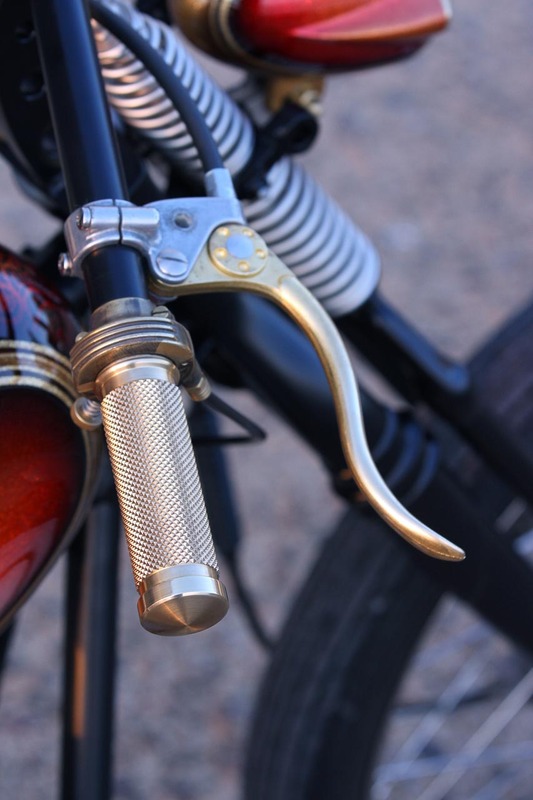 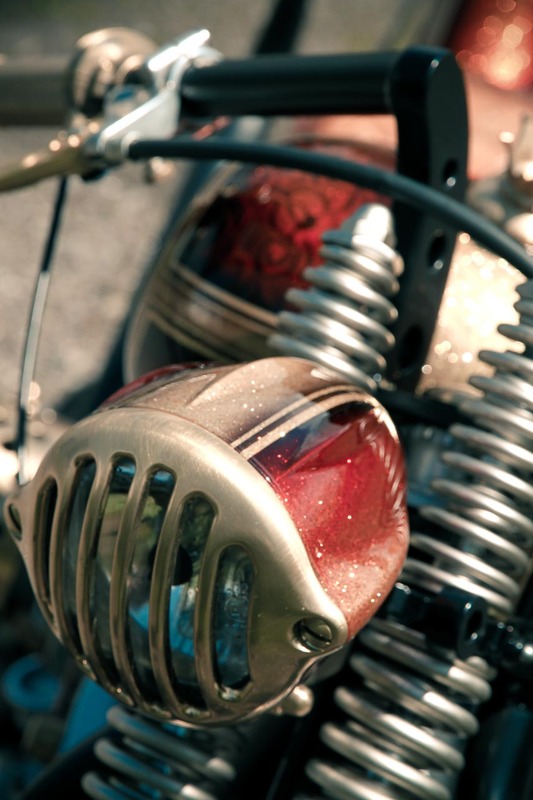 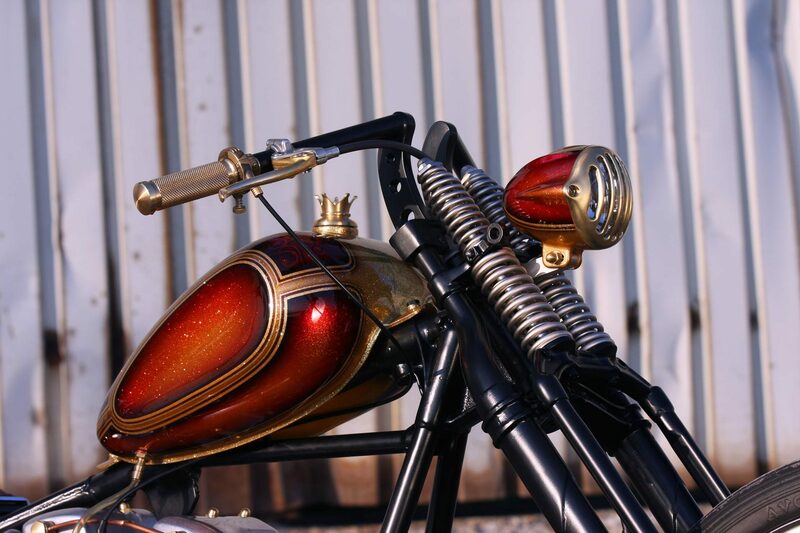 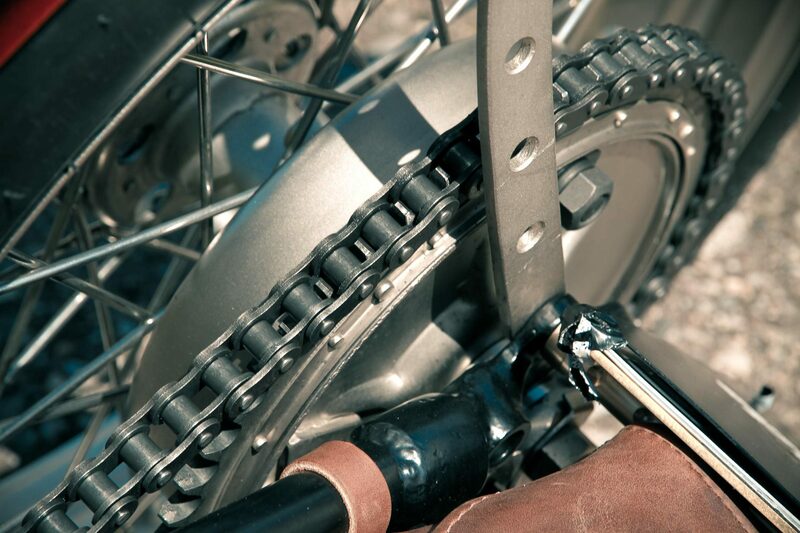 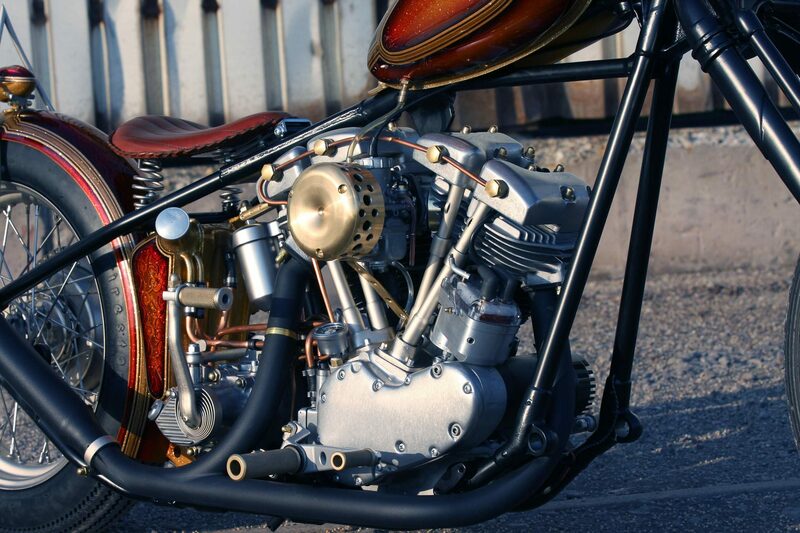 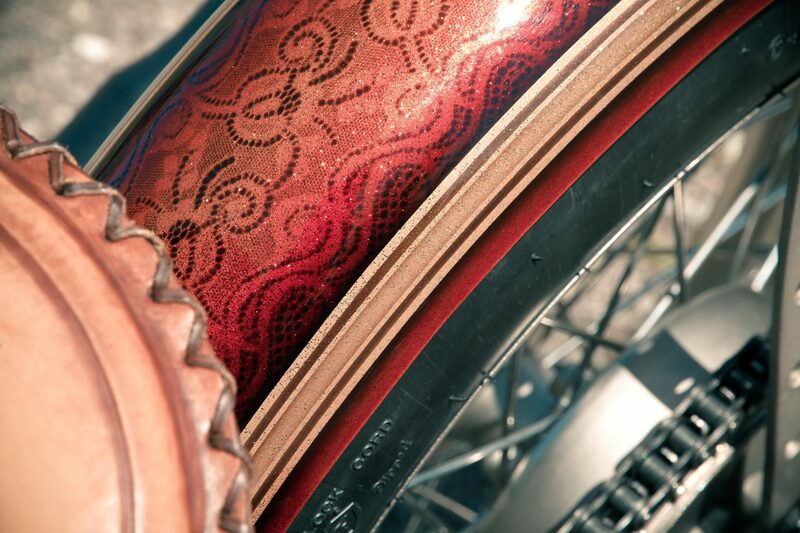 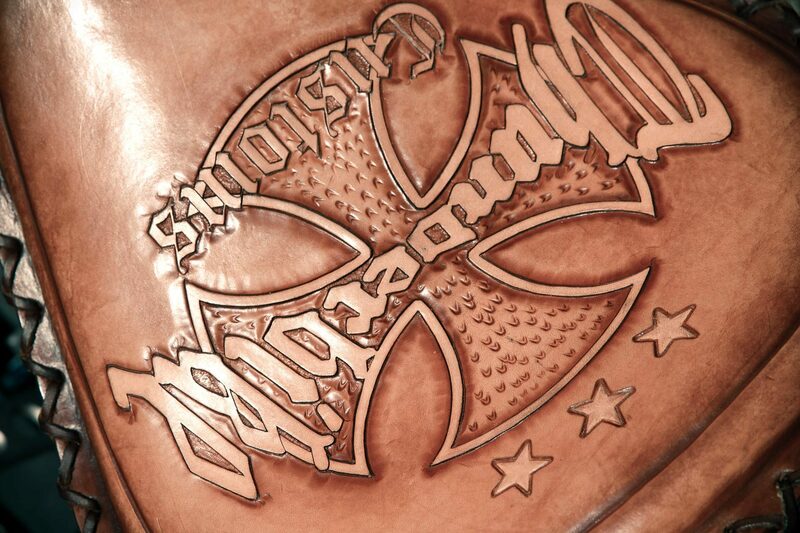 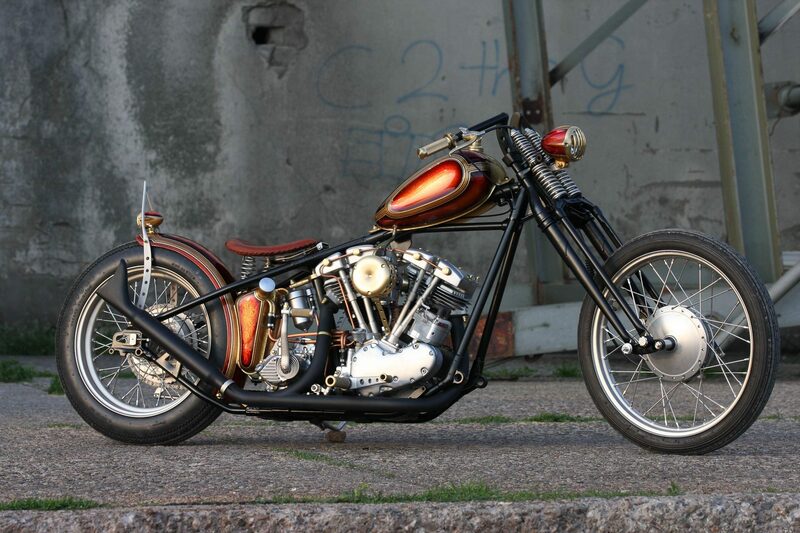 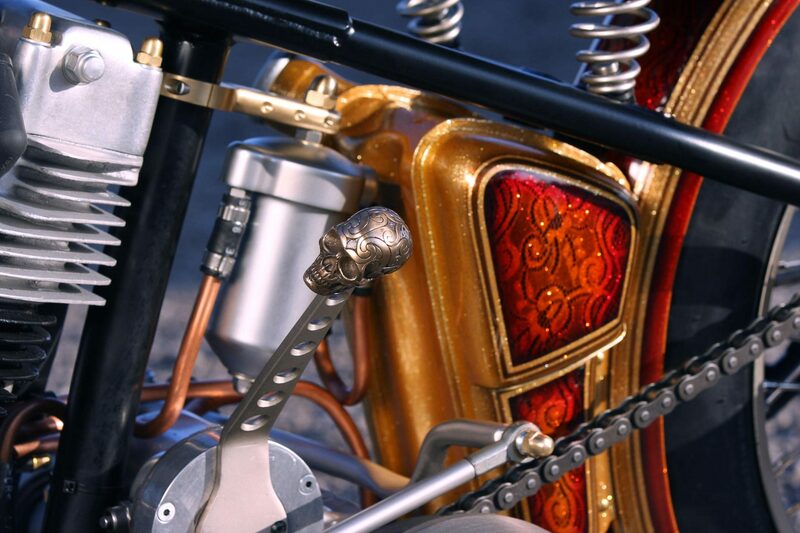 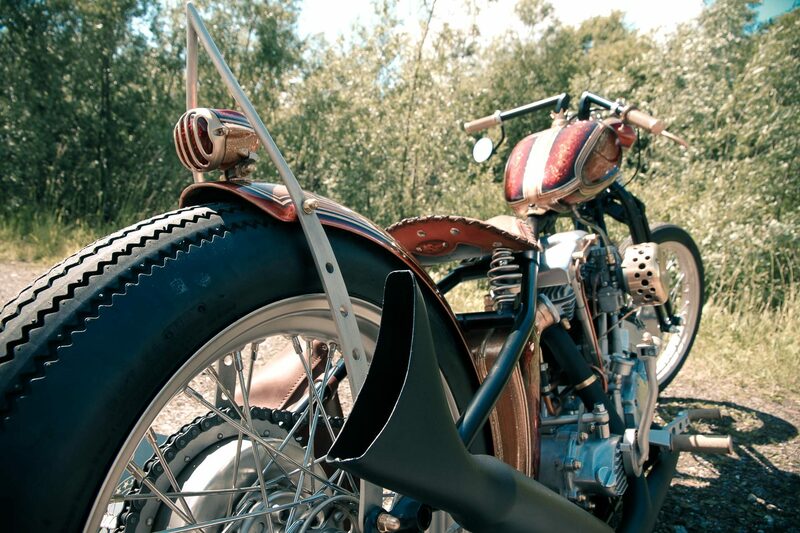 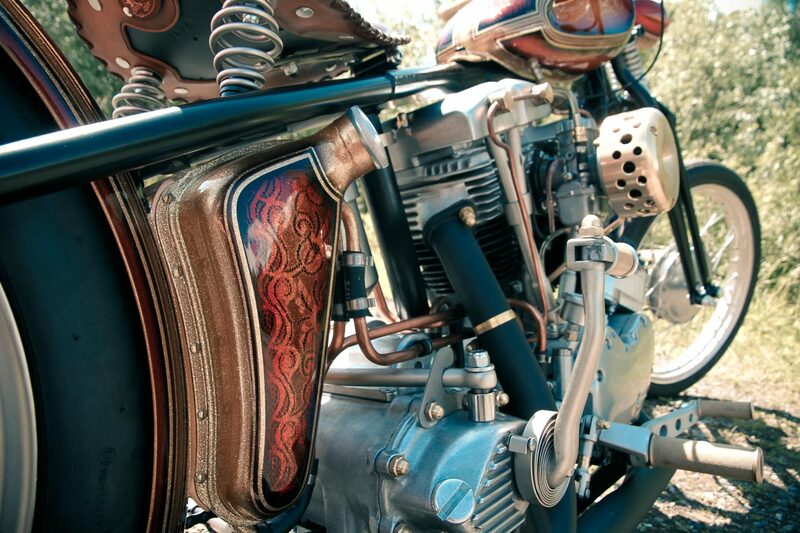 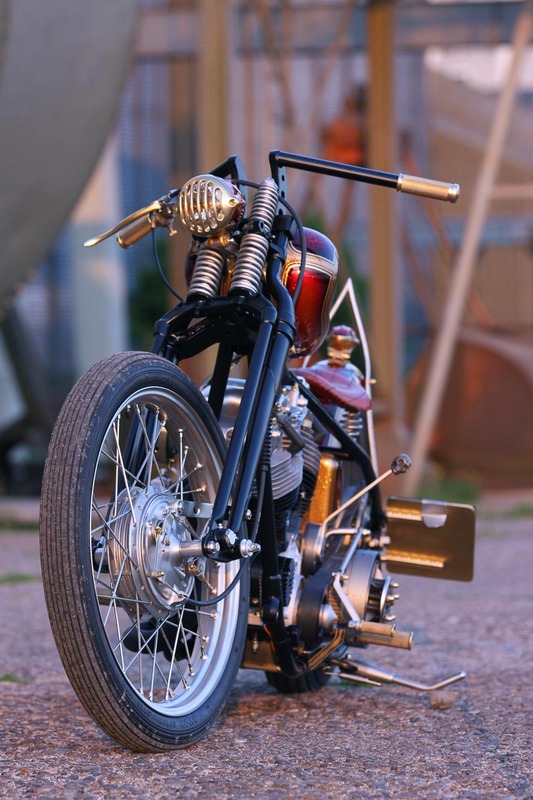 Many handcrafted parts and surfaces in copper, brass and nickel make this bike an absolute one of a kind. 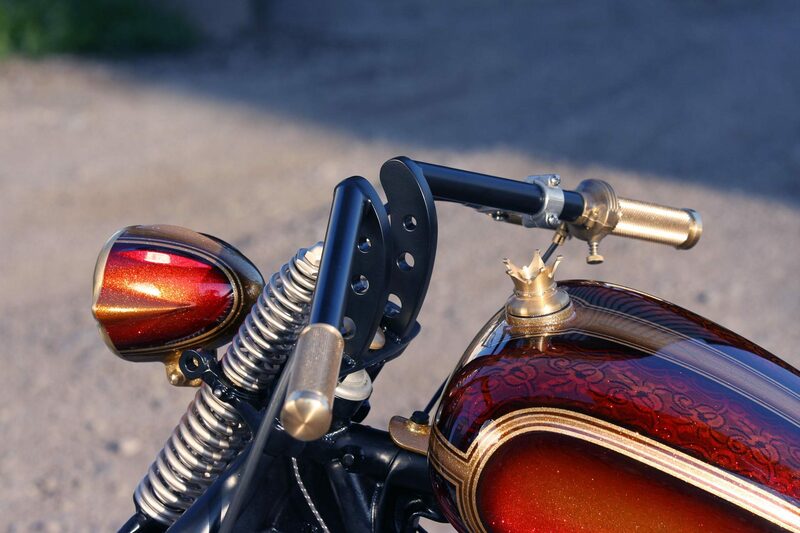 The finish is a homage to the glittering choppers of the 70s, but with the matte nickel surfaces we have set the right contrast to the paint. 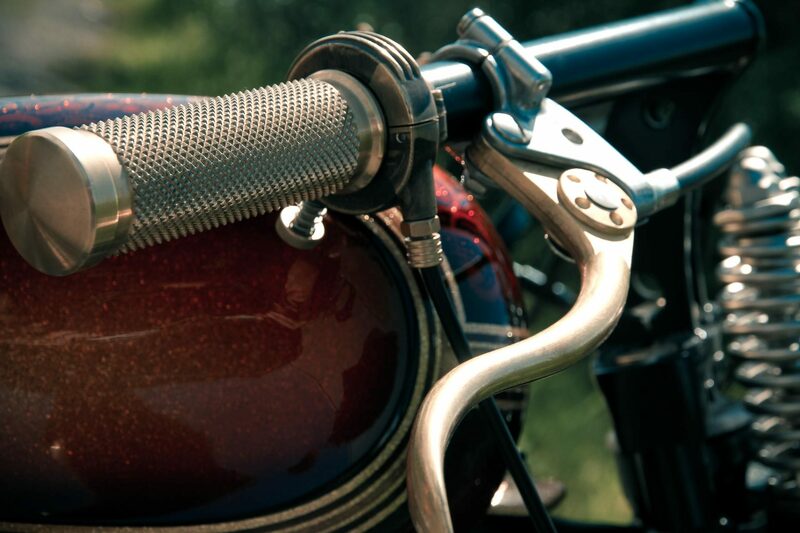 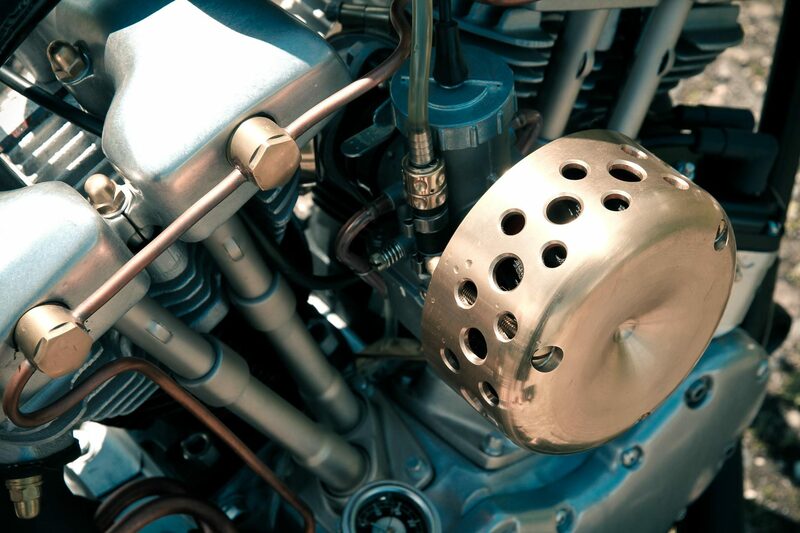 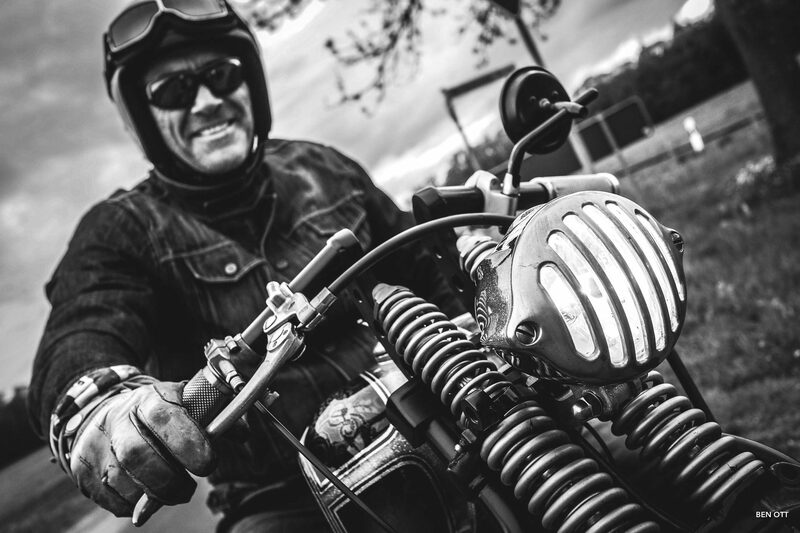 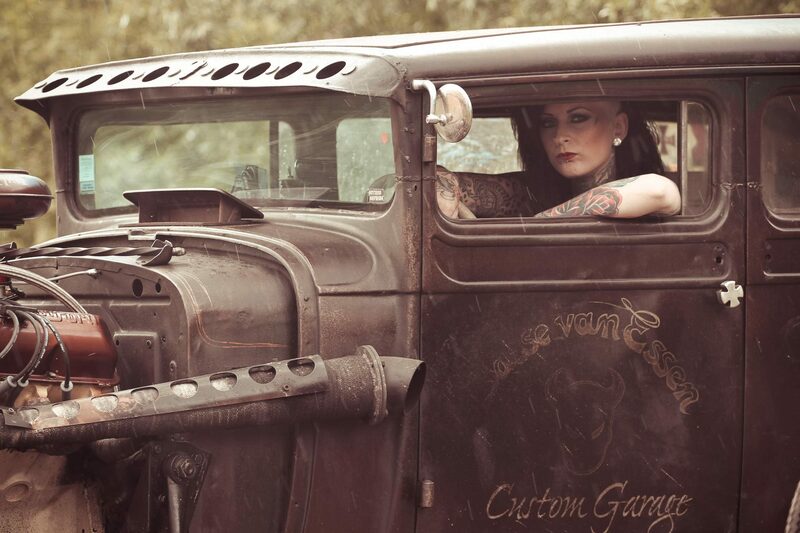 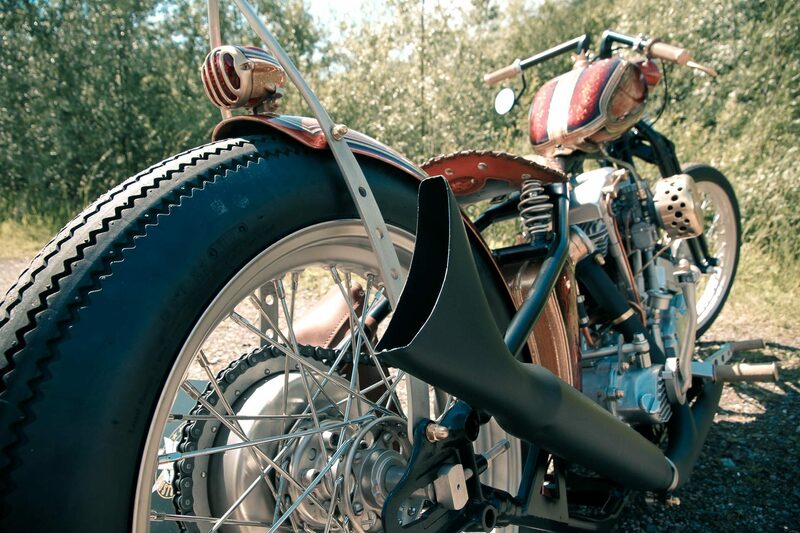 The Classic air cleaner is online available for Evo Big Twin, Twin Cam and Sportster models.